We’re thrilled to announce that our ‘In the Men’s Room’ campaign has recently been shortlisted for an award with the Chartered Institute of Public Relations (CIPR). It’s been shortlisted in the Integrated Campaign category as part of the upcoming 2018 CIPR PRide Awards and we’ll find out how we’ve done in November. 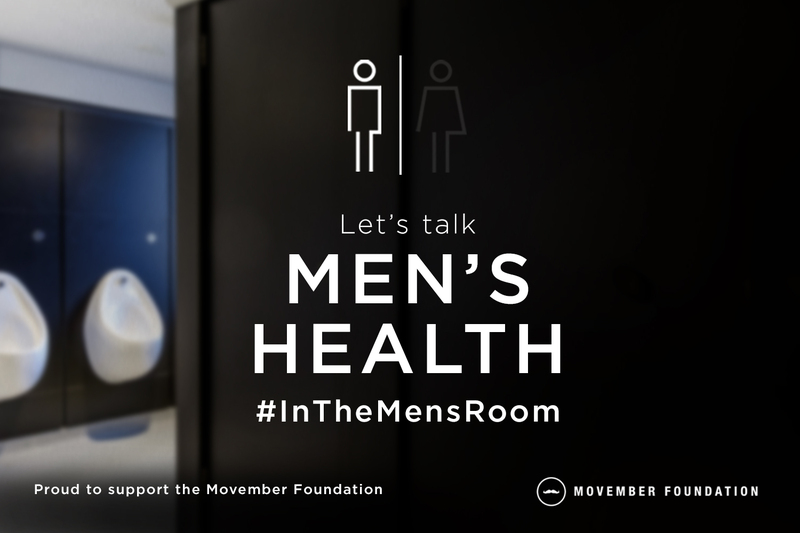 Our ‘In the Men’s Room’ campaign, which ran throughout November last year, aimed to highlight the difficult subject of men’s health, which can be especially hard for those working in the construction industry to talk about. One of the key aims of the campaign was to encourage men to talk about mental health and provide important information on men’s health in an effort to break the taboo within the construction industry. You might remember seeing our graphics, which were widely shared on social media with the hashtag #InTheMensRoom. As well as increasing awareness, the campaign raised over £1,200 to support global men’s health charity the Movember Foundation, with the whole Washroom team getting behind the initiative. The Movemeber Foundation is the only charity tackling men’s health on a global scale and it aims to make a contribution to men living happier, healthier, longer lives and stop them dying too young – something which we were only too pleased to support.